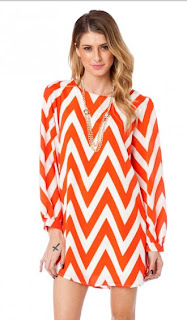 Clemson Girl: Quick Poll: Would you wear this orange chevron dress to a Clemson game? Quick Poll: Would you wear this orange chevron dress to a Clemson game? Would you wear this orange chevron dress to a Clemson game?